... Send Peter Roskam a Message! Sponsored by Indivisible Resist the 6th and NWSOFA, this protest will be covered by the news media. So please show up in force. There is a massive protest planned outside Paul Ryan's Republican fundraiser in Chicago Thursday. 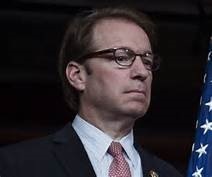 It's going to be important to draw attention to Roskam and the ACA during this, so bring signs about Roskam and the NEW cruel Republican replacement proposal.